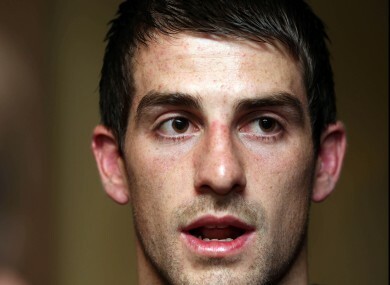 The Donegal footballer says he always looked up to his former team-mate, who passed away during the summer. Paddy McGrath says he often still thinks of Maguire. IT’S BEEN AN emotional year for Donegal’s Paddy McGrath. In addition to his side reaching the All-Ireland final, the past twelve months have been marked by tragedy, as his team-mate and friend Tomas Maguire tragically passed away, following a road crash in Western Australia, where he was working on a farm. During an emotional evening at the Ulster homecoming this year, McGrath paid tribute to his friend, wrapping himself in a Brazilian flag with Maguire’s name in it while up on the stage. “The year before Tomas brought the Brazilian flag to the game with him so the boys did the same this year, and then they just gave me the flag for the celebration afterwards,” he recalls. “It was nice. I always looked up to Tomas as a younger player. He was always a couple of age groups ahead of me and he was always a lightening corner-back. I always looked up to him, he was playing in the same position and I played alongside him and it was pure shock at the time when it happened. McGrath describes how the 24-year-old Ardara man was an extremely talented player, and reveals that he was close to making the senior panel. Such was the closeness of their relationship that McGrath explains how Maguire is rarely far from his thoughts whenever he takes to the field. Email “'Tomas is always with us on the pitch' - Paddy McGrath”. Feedback on “'Tomas is always with us on the pitch' - Paddy McGrath”.